When it comes to socialization, the clock is ticking! Socializing puppies is vital to helping them grow up to be wonderful companions. And because most people have high expectations for their dog’s ability to be quite social these days — like riding nicely in the car, behaving around people and other dogs, and spending time at the park — socializing puppies early is among the most valuable building blocks for a long, happy life. 8- 18 weeks are typically the most crucial for socialization. This is when puppies should approach and be exposed to novel objects and situations. 8-19 weeks are sometimes called “fear periods,” when dogs may begin to approach novel situations fearfully. 6mos – 1 yr is when some say a secondary fear period may occur. This is a great time to consider a rewards-based puppy preschool that emphasizes experiential socialization and dog-dog socialization (as opposed to manners/obedience class). “If your puppy is sick or injured during this critical socialization period, then private work should to be done to ensure the opportunity is not missed,” Parthasarathy says. When is it safe to play with others? Your veterinarian will provide guidelines for when your puppy can safely start socialization classes. S/he must have had at least one series of vaccines at least seven days prior to the first class. Perhaps surprisingly, it is now believed that puppies can start socialization classes as early as 7-8 weeks of age. Remember that the most crucial socialization period starts at 8 weeks. Your best bet? Get puppy to puppy class — the sooner, the better! Let the baby explore new environments at his or her own pace. This also means happy visits with the groomer and your veterinarian. Happy visits should be “pop ins” when you’re not there for nail trims or vaccinations. The visits should include treats — on the way, when in the lobby, and even in the parking lot. Visit your favorite technician or customer service representative as they’ll be happy to see you and your new addition (please extend the common courtesy of calling ahead for the okay to stop by). If your puppy is showing fear-based response behaviors at 6-8 weeks, seek out a trainer for one-on-one work with. The session with the trainer will likely mimic many elements of puppy class but the trainer may arrange safe play with just one well-mannered dog, and lessons will be conducted and paced according to puppy’s individual needs. Posted in Behavior/Training, Feature, Life with Pets and tagged with Puppies, Socializing, Training, Behavior. So why is it that dogs tend to be really good at home but not in other locations? The answer is generalization. Dogs are very context specific, so they tie in everything that was happening during training when the behavior was learned. Where they were during the training, what you were you doing — standing, sitting, wearing a hat, etc. Unless you generalize training to other situations and contexts pups will often be slow to respond and confused or unclear about what you want from them. If you teach your pup to sit while you are in your living room, then s/he will sit really well .. . in your living room. Reward with a cookie while s/he is sitting in front of you, facing you, then that's where s/he thinks s/he should sit, not next to you. Dogs will be best behaved where you have trained the most, and typically this is inside your home. So how do you get your dog to be really good at home, and really good out in the real world? The answer is generalization. This means changing the location and context you train in slightly and with gradually increasing difficulty. For example, if your dog is really good responding to a sit inside the house, change the context slightly and make it more challenging. Train in another room of the house, open the front door and practice inside the house. It will be slightly more difficult, but still easy enough that your dog will succeed! Step 1 Pick a behavior that is important to you and spend 5 minutes a day working on it. Step 2 Gradually change the context. Think about all of the situations in which you might need your dog to be able to offer a behavior, write it down if it is helpful, and then rank them from easiest to hardest. Can your dog do the behavior on leash or off leash? Can your dog offer the behavior at your front door? With the door closed? Open? With people standing on the other side of the door? Change the location. Train in your kitchen, living room, bedroom, back yard, front yard, friend’s house, local park. Start in the easiest location and build to the hardest. Take a step back to an easier location if you find a certain place too hard. Change the context. Can your dog do the behavior if you are sitting, standing, lying on the floor, wearing sunglasses, a hat, talking on your phone, etc? 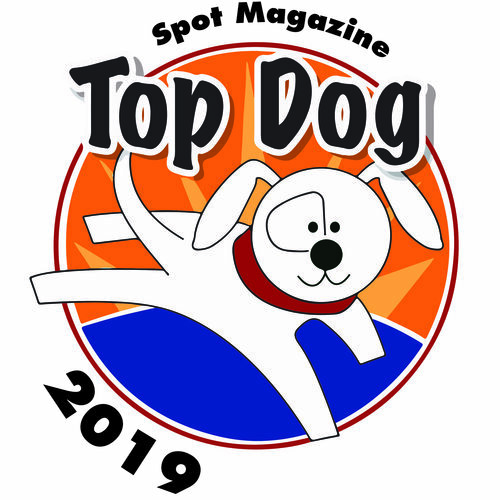 Jennifer Biglan, owner of Training Spot in Eugene, OR, is a Certified Professional Dog Trainer and Karen Pryor Academy Certified Training Partner in Eugene, OR. She knew she wanted to work with animals at a young age. After graduating from the U of O and volunteering at a dog shelter, she found her calling. Jennifer is well known through the community, and by many area veterinarians for her work in solving behavior problems, and she has extensive knowledge and background training dogs. Learn more about Training Spot at trainingspot.us or e-mail info@trainingspot.us. Posted in Behavior/Training, Feature, Life with Pets and tagged with Behavior, Training. Synergy Behavior Solutions has added to its team Sara McLoudrey. The announcement describes McLoudrey as a talented animal trainer and teacher with a special love of working with animals with problem behaviors. In addition to working with clients for behavior modification training, McLoudrey has taught unique dog group classes including FitPaws for Reactive Dogs. She is a Certified Nosework instructor, the only Victoria Stillwell certified trainer in Oregon, and a CPDT-KSA. Synergy offers a variety of individual and group classes, such as k9 nosework, FLEX for reactive dogs, leash handling, massage and more. Learn more at synergybehavior.com. Posted in Behavior/Training, Fetch, Pet Biz and tagged with Trainers. You’ve always dreamed about the perfect dog. You met a beautiful Golden Retriever who was so well behaved and sweet you just couldn’t wait to take one home. The two of you will enjoy leisurely walks, s/he’ll greet you happily when you come home, love you unconditionally, potty right where you want him or her to, and come when you call. So you go out and get a new companion. A dog in the house can bring joy. But it can also bring chewed shoes, ruined furniture, drool, poop and barking. Behavior problems — , things like separation anxiety or leash reactivity — add another layer of challenge, and are all problems we see every day. 1) Research your breed. Learn what was your dog bred to do and whether you can or will meet his daily physical and mental needs. Some dogs love nothing more than to lounge on the couch all day while others need ample exercise and room to run and play. Not all breeds will fit your bill; my Staffordshire Bull Terrier and Jack Russell (JRT) mix are both couch potatoes. They can sleep all day, go for a short walk, and then sleep all night without a problem. Not all Staffies or JRTs are like that — if you have one you may be wondering what tranquilizers I give mine to get them to stop moving! Environment: Provide an enriching, low-stress environment. Notice where your dog likes to sleep, what s/he likes to play with, assess their breed needs and make adjustments. Look at daily stressors, too. If my Terrier has access to a window she will “protect” the house from invaders, barking at every person who passes during the day. Simply closing the curtains, creating a visual barrier like paper, or moving furniture so she can’t see out the window reduces her stress substantially and helps her feel more relaxed during the day. Physical Exercise: Can/will you provide daily walks or running, play, chase, etc.? Healthy diet: Is your dog getting the nutrition s/he needs? Talk to your vet — sometimes a change is in order. Mental Exercise: Can/will you provide training, food puzzle toys, play, ample time to sniff during walks, etc.? 3) Train some more! Training provides ample mental exercise, which will help your dog feel tired and teaches them what you want them to do. Sometimes it’s just not a good fit. What to do when it’s not a good fit? One thing I love about pet parents is their commitment. They have taken a dog into their home and they want to make it work, they want their dog to be happy, and they’ll do whatever it takes. However, sometimes whatever it takes involves re-homing your dog and finding a better “match.” I recently helped a client family re-home their two-year old Golden; it was a very hard decision for all involved. He is a beautiful dog, and they are a wonderful family — they were just not a fit for each other. Four kids, busy jobs, and an unfenced property made meeting their dog’s needs nearly impossible. I am proud of their bravery in deciding to re-home him; it’s a tough decision to make, but it was the best decision for their dog. A little work, a few phone calls, connecting with local rescue groups, and we found a home for him that is absolutely perfect. He even has his own instagram page! Jennifer Biglan, owner of Training Spot in Eugene, OR, is a Certified Professional Dog Trainer and Karen Pryor Academy Certified Training Partner in Eugene, OR. She knew she wanted to work with animals at a young age. After graduating from the U of O and volunteering at a dog shelter, she found her calling. Jennifer is well known through the community, and by many area veterinarians for her work in solving behavior problems, and she has extensive knowledge and background training dogs. Learn more about Training Spot at trainingspot.us or e-mailinfo@trainingspot.us. Posted in Behavior/Training, Feature, Pet Biz and tagged with Train, Behavior, Dogs. Up for a coastal outdoor adventure? Citydog Countrydog offers a variety of canine events, classes and fun for puppies and dogs in Yachats on the Oregon Coast. Puppies and adult dogs can brush up on social skills during monthly events through October; other offerings include Willderness Companion Training, Testing & Certification, Adventure Hikes, Reactive Dog Practice Groups, Canine Caching and more. Learn more at citydogcountrydogtraining.com. Posted in Behavior/Training, Events, Fetch, Pet Biz, Travel/Recreation and tagged with Oregon Coast, Training, Classes, Dogs. Tera and I have seen the transformation that takes place when dogs are trained using positive reinforcement so often, we’ve given it a name: “down dog, up dog.” Dogs that come to us “down” are shut down, scared, or uncertain. Then, after being introduced to positive training, they become “up dogs” — more relaxed, joyful, playful, outgoing dogs who enjoy learning and being with their pet parents. What’s the difference between positive reinforcement and punishment? Reinforcement strengthens or increases behaviors. Anything you want your dog to do more of, you should reinforce. If your dog comes to you, praise, pet, let him or her go play again, give a treat. If s/he likes those things s/he will come to you more often. Punishment weakens or decreases behaviors. Your dog barks, you bop her on the nose, squirt him with a squirt bottle, or drop a shaker can full of pennies. If the timing was right, s/he may bark less. A potential side effect of punishment is that unless your timing is impeccable, you can accidentally punish the wrong behavior, or worse, create other problems. We at Training Spot are committed to using the most effective and modern training methods with dogs (and their humans). We love and use positive reinforcement. It is more fun for both you and your dog, strengthens your relationship, builds trust and mutual respect, is easy for the whole family to participate in (including kids), teaches your dog what you DO want them to do, and is scientifically proven to be more effective than using punishment. Positive training tools to share a lifetime of fun, companionship, and respect with your dog. 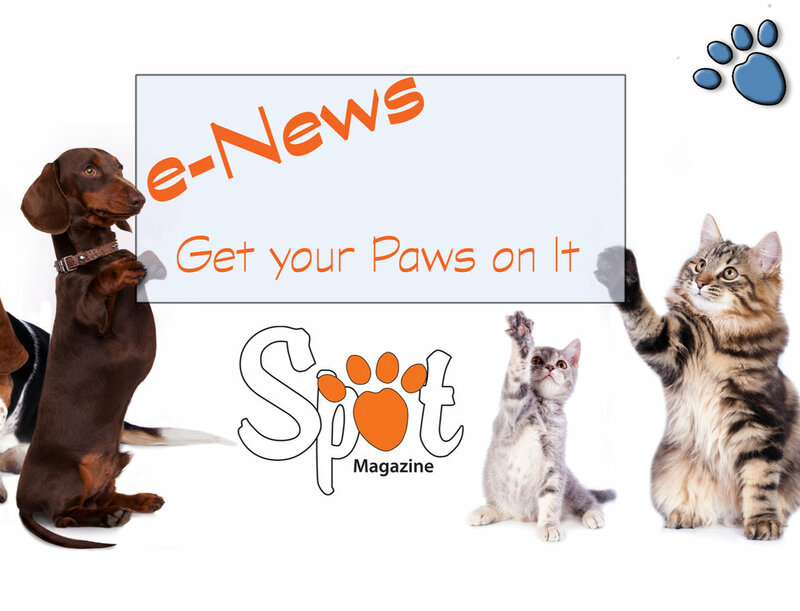 Plus: information on the importance of observing, understanding, and reacting appropriately to your dog's body language; instruction on how to phase out the use of a clicker or treats to introduce more advanced training concepts; a diary to track progress; suggestions for treats your dog will respond to; and a glossary of training terms. In this new book, renowned dog trainer Kathy Sdao reveals how her life journey and her decades of experience training marine mammals and dogs led her to reject a number of sacred cows including the leadership model of dog training. She describes her own training philosophy, emphasizing developing partnerships in which humans and dogs exchange reinforcements and continually cede the upper hand to one another. Posted in Behavior/Training, Feature, Life with Pets, Pet Biz, Willamette Valley and tagged with Training, Behavior. 2016 NW Pet Fair - Get Ready for Fun! Grab the gang, including the pets, and get to the NW Pet Fair Apr. 23-24 at the Portland Expo Center. It's the party of the year for pets and their peeps! Posted in Animal Welfare, Behavior/Training, Events, Feature, Health/Wellness, Life with Pets, Pet Biz, Safety, Travel/Recreation and tagged with Adoptables. April 22, 2016 by Spot Magazine. We love our dogs, and want nothing more than a loving, lasting relationship that includes fun walks and exercising, off-leash romps, snuggles on the sofa, fetching, and the simple joy of companionship. When our dogs are at their best we love them endlessly. When at their worst, however, it can sometimes make us wonder whether we can handle their doggie antics. Pulling us on the leash everywhere they want to sniff and explore, barking incessantly, sometimes seemingly at nothing. While my Lucy has heard about the little boy who cried wolf, she’s the little dog who barked "woof"! So, what to do and where to start? The answer in some cases is simple. Start training the instant you get your dog, or better still, before you get him/ her. Training goes both ways; you can learn how to speak dog or rather how dogs communicate, so you can better communicate and understand why s/he does some of the things s/he does. Find a trainer who will help you incorporate training skills into your daily routine in a way that feels effortless. If you’re like most people, you want the training to be lifelong. For that you will need to occasionally fine-tune and review. The first question clients ask me is often "What kind of training do I do? Use force, choke chains?” etc. It’s an easy question to answer. No. I do not use force, intimidation, choke chains, etc. Why? Partly because I simply don't like those things and do not want my kids doing them either, but mostly because I just don't need to. It is simply more effective and more fun (for everyone) to use positive training. In Kathy Sdao's book, Plenty in Life is Free, she discusses the Smart x50 program, and I love it! The idea is simple and sheds light on how easy it can be to get good behaviors. Have a goal of 50 rewards a day — approximately ¼-cup of your dog’s regular meal. Measure the food out in the morning when you feed your dog, and throughout the day, notice and reward things your dog does that you like throughout the day: coming inside, approaching with all paws on the floor, sleeping on their bed, chewing on their toy, etc. I bet you could do 100! Share pics of you giving your dog 50 a day here: facebook.com/dogandcatllc. This article is dedicated to Scout. You came into our lives and changed them forever. Thank you for the time you shared with us, it was too short, but it was full. Posted in Behavior/Training, Feature, Life with Pets, Pet Biz, Willamette Valley and tagged with Training, Dogs, Behavior, Trainers. Are 42 cats too many felines for one person to own? In today's world, the answer would most likely be yes. In 1891, a San Francisco millionaire commissioned what is known as the world's greatest cat painting to celebrate his wife's beloved pets. This month, the Oregon Humane Society and the Portland Art Museum are teaming up to help cat fanciers enjoy "My Wife's Lovers." The 6-by 8.5 foot painting, shown at the 1893 Chicago World's Fair, depicts more than three dozen cats owned by San Francisco philanthropist Kate Birdsall Johnson. "We don't encourage anyone to take ownership of 42 cats, but judging from this painting, it appears all of them were living in the lap of luxury," said Sharon Harmon, OHS executive director. Each Saturday in March, the museum will host "Caturday" pop-up events highlighting the intersection of cats and art. The events will include improv comedy, original rap and cat poetry, and more. OHS will be present on the March 5 with cats available for adoption and an expert to discuss cat behavior issues. It will be interesting to see what the cats of OHS think of the world's greatest cat painting. "I don't know if the painting captures the je ne sais quoi of a cats essence," said OHS resident feline, Gus. "Our existence can't be reduced to a mere canvas." About the painting: Carl Kahler's My Wife's Lovers is a massive painting commissioned by San Francisco philanthropist Kate Birdsall Johnson in 1891. The 6-by-8.5-foot canvas, which features 42 of the millionaire's beloved cats, was seen at the 1893 Chicago World's Fair, survived the 1906 San Francisco earthquake, and now makes a stop in one of the cat-friendliest cities in the country. Posted in Animal Welfare, Behavior/Training, Fetch, Life with Pets and tagged with Cats, Events, OHS, Adoption Outreach. March 2, 2016 by Spot Magazine.